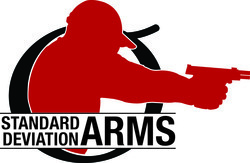 Tactical carbine training is essential for shooters who wish to be proficient at using and fighting with their carbine. Our Precision Training load is a high quality, dependable load, specifically designed and carefully manufactured to facilitate tactical training with the fighting carbine. In order to get the most out of the experience, shooters need ammunition that they can count on to perform, so that effective learning can occur. Unfortunately, many a shooter falls into the trap of buying cheap, sub-par ammunition for their class. They then experience quality issues such as underpowered loads, dimensionally out of spec rounds, overpressure rounds, popped primers, stuck steel cases, filthy burning powder, etc. ; all of which become so distracting and frustrating, that it interferes with the student’s ability to absorb new concepts being taught. So after a sizable investment in terms of class tuition, travel costs, time off of work, etc., they do not learn what they came to learn, all due to scrimping and trying to “save” a few bucks by buying cheap ammo. Enough power to run milspec ported and spec’d fighting carbines. Many commercial .223 and foreign loads are underpowered, causing malfunctions. We test our load for proper function with rifle, midlength, and carbine gas systems with milspec porting, auto and semi bolt carriers, carbine/H/H2/H3 buffers, in barrel lengths from 10.5 to 24″. Prevents excessive wear and tear on the weapon. Unrelenting quality control. Every round is chamber checked and hand inspected. Every case is checked for a flash hole. Every primer is checked, every powder charge checked. We test fire on a very frequent basis. 2. Accuracy and consistency more than adequate to give proper feedback on marksmanship. Careful loading technique and component selection delivers the accuracy required. For precision shooting past 200 yds., we recommend our Tactical OTM loads. 3. Packaged to facilitate high volume training. Our training load comes bulk packaged in a custom reclosable box. This prevents the mountain of wasted packaging and wasted time in dealing with it all. Jamming mags is a simple matter of reaching in the box and grabbing what you need. At day’s end, close it up and easily take it with you. 4. Reasonable price. Our training load is not the cheapest ammo out there. However, considering the care involved in its development, manufacture, quality components, quality control, and testing, we believe you will find it to be of extremely high value for your serious training purposes. Our 5.56mm Precision Training load, along with a good weapon system and mags, will help you get the most out of your training.